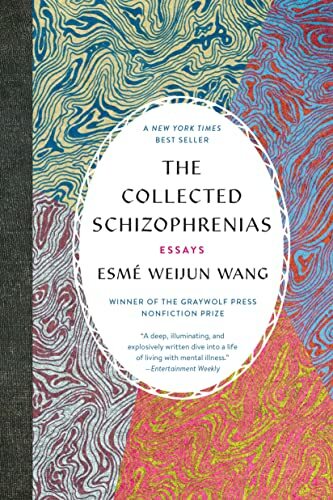 Esme Weijun Wang's lively and sensitive collected essays assert no overarching, positive thesis about mental disorder, nor can they be summarized to form one. Yet even their title reveals the compelling theme they convey, through "schizophrenias" in the plural. This is in homage to Bleuler, whom she makes clear she has read. But more importantly, it is a tip-off to the reader that there are no categorical certainties here at all. Perhaps the symptoms she describes from her own experiences with disorder and diagnosis are "schizophrenia" (or the later applied "schizo-affective disorder" blending bipolarity with the psychotic features associated with schizophrenia). But perhaps they are not. Perhaps they are instead some yet dimly understood third form of neuro-diversity not found in the compartmentalized thinking of DSM psychiatry; perhaps they elude the standard binary recognizing only disorder and non-disorder, and the nineteenth century model, now revised for many disorders in the rest of medicine, by which all psychiatric disorders correspond to the simplest, bacterially-caused conditions, such as syphilis, and influenza. This fluidity and openness, which allows Wang to range between reflections on many matters that are normally strictly segregated, is warranted by the elusive subject matter she encounters. The personal experience of symptoms that confuse and at times overwhelm, is just one of the facets of this refreshing and brilliant book, and I return to it below. But there are also reflections on, to name a few, the nature of disorder and of the psychiatric classification on the basis of which diagnostic labels are assigned; on the advantages of intellectual talents and the doors (Yale's and Stanford's) they have opened; on the meaning of dressing well to keep up appearances as "high-functioning"; and on the loose and unexplored boundaries between psychosis, delusion, imagined and real illness and spiritual experience. As autobiography alone, The Collected Schizophrenias offers undoubted riches. Today, we are blessed with many such "autopathographies," and researchers have increasingly come to recognize the valuable phenomenological evidence they provide. Among them, Wang's are some of the best: she writes with the same care and honesty about these experiences as she does about matters less closely related to her own immediate story. But what also, and perhaps more importantly, distinguishes this work, is the portrait that emerges of Wang as a thinker. Evident throughout her discussions are the frame of mind and epistemic habits she has built up between the bad times. They show again and again - when she addresses fears about having children in light of her genetic risk for disorder; in her observations on social media and virtual, screen-based reality; describing the strange, medical netherworld of those identifying as sufferers from Chronic Lyme Disease, or the religious consolations and rituals at Chimayó. What is remarkable here is Wang's unfailing trait of open-mindedness, entirely unaccompanied by conceptual looseness or vagueness. She knows what she knows (how she feels, what she doesn't know); she also knows what is not known by others (much of the phenomena making up the subject matter of present-day psychiatry), and what, perhaps, may never be know (spiritual mysteries). In this respect, among recent thinkers who address orthodoxies about the mind Wang is one of the most clear-sighted. If, as could be suspected, her disorder and outsider status have permitted this fearless and unremitting intellectual courage, then we cannot but be grateful to them. These are intellectual virtues rarely found and sorely needed in today's discussions of the mind, neuro-diversity, and disorder.